You also need to consider your lifestyle and how you could get the most use out of your available space. Homeowners often have to decide what exactly they want to do with their living room, whether they intend to use their space for big parties or for intimate family gatherings. Once you have a vision of what you want, only then can you start getting work done. Here are some ideas for when you start your living room renovation. If your entrance opens up to the living room, it might be a good idea to dress up your entrance. This is possible without having to replace the entire door. You may opt to paint the door or give it a new handle. Good handles can be costly initially, but a simple detail can go a long way in updating your door’s look. Ripping out old floor tiles or carpeting is by no means cheap, but it can vastly improve the appearance of your living room. Many contemporary homes use hardwood or bamboo for flooring, as these not only look more elegant, but they are also relatively easier to maintain. 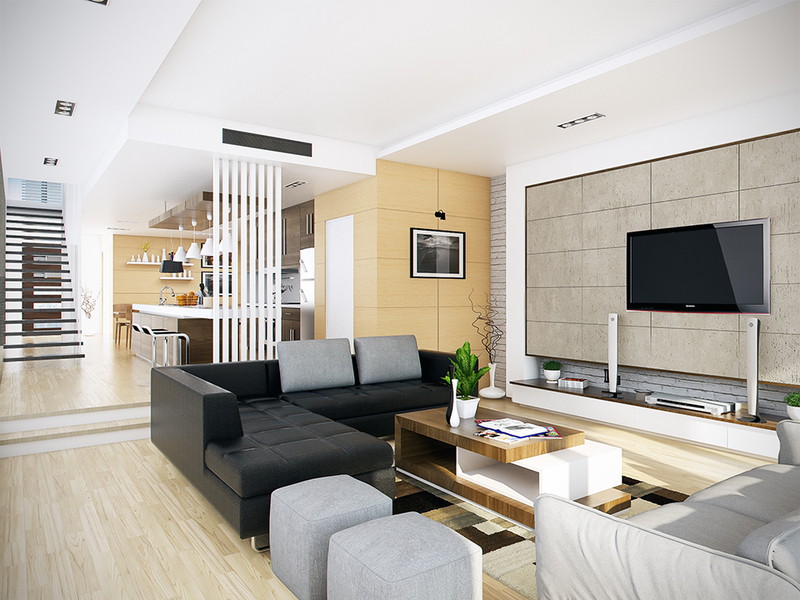 Plan for lighting during your living room renovation. Consult a professional about how to maximise your space’s natural light and which fixtures will work best in your living area. It is recommended to use energy-efficient lighting such as LEDs, as these will be cost-effective in the long run, but some homeowners find LED lights too dim for their spaces (and too expensive). The objective of your lighting plan should ultimately be to brighten up your space given your room’s dimensions and your budget. Painting a space is one of the more affordable methods of living room renovation, but it is also one of the most lucrative for homeowners who are looking into selling their property. Just one coat of fresh paint to the walls or ceilings can brighten the space. Many designers recommend keeping the color scheme neutral, as neutrals suit most lifestyles and stay fashionable for longer. Window treatments are essential to a living room renovation, but they require planning to get right. Whether you are installing curtains, shades or blinds, or you are upgrading your window cladding and sills, be sure that your window treatment allows in ample light and sufficiently blocks out dust. Planning to renovate your home? Speak to our architects and building designers. Call us for a free quote. Work with Adelaide building designers and architects.